Sabine Becker-Thierry is the UNU Chief of Staff. Sabine works directly with the Rector and the Executive Officer in the day-to-day management of the University and in the implementation of key institutional priorities. 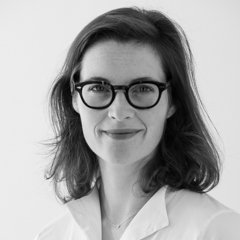 Prior to joining UNU, Sabine worked as a development consultant on questions of aid effectiveness, humanitarian coordination, and organisational performance for UN agencies, NGOs, and governments. She has also worked as an evaluator with the UN’s Office of Internal Oversight Services in New York as well as in the private sector. A national of Germany, Sabine holds a PhD from Waseda University in Tokyo and master’s degrees from Sciences Po Paris and from Université Paris-Sorbonne.